The best independent insurance agency in Bradford, Brookline, Cambridge, Chelmsford, Concord, Fairhaven, Framingham, Marlboro, Milford, Randolph, Needham, Truro, Weymouth and surrounding areas. Kaplansky Insurance is your trusted independent insurance agency across Massachusetts, including Bradford, Brookline, Cambridge, Chelmsford, Concord, Dedham, Fairhaven, Framingham, Marlboro, Milford, Randolph, Needham, Truro and Weymouth. Our insurance professionals have years of experience in the insurance industry and serve as your advocate from selecting coverage through filing a claim. Our team has a strong passion for insurance and protecting what you value most in business and in life. We treat our customers like family. Our mission is to be the insurance agency you didn’t think existed – the one who is reliable, the one who serves as your advocate and ultimately, the one who’s got your back. The bottom line is, if it matters to you, it matters to us. Our mission is to provide competitive and top quality insurance products to individuals, families and small and medium business. You wouldn’t go to an ice cream shop that only sells one flavor. So why buy your insurance that way? At Kaplansky Insurance, we believe in the power of choice, which is why we work with the top-rated regional and national insurance companies making it easier for you to save time and money. Who doesn’t want that? We’re not computers, we are real, live members of your community who believe you deserve more than 15 minutes of our time, and we’re committed to being your advocate in times of need. When you work with Kaplansky Insurance, you deal with people you know – and people who know you. Caring is in our Culture. It's part of our DNA. We don’t just care about our clients, companies and team members, we care about the communities in which we live and work. Every day, we make it a point to be good neighbors in the communities we serve. In part, that means providing friendly, personalized products and service to protect what you value most. 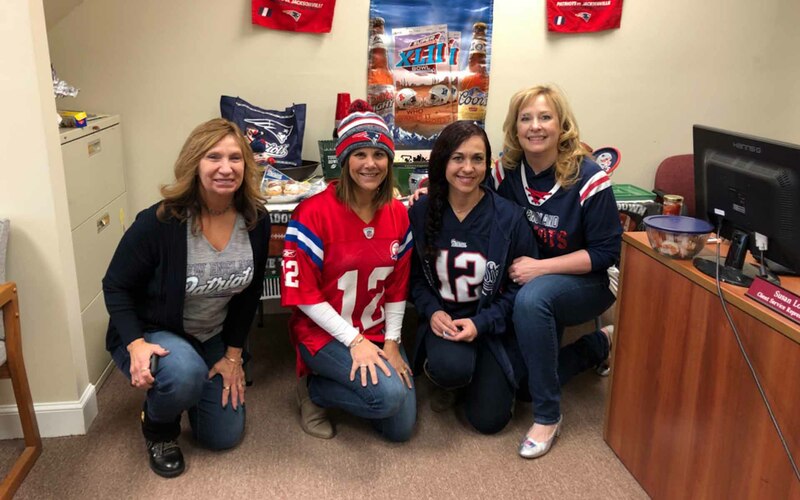 From your home to your business, from fundraisers to volunteering and everything in between, our agency is committed to being involved with the amazing organizations that protect and create the amazing way of life that defines New England. At Kaplansky Insurance, our mission is very simple. To provide competitive and top quality insurance products to individuals, families and small and medium businesses. We offer comprehensive insurance solutions across Massachusetts, including Bradford, Brookline, Cambridge, Chelmsford, Concord, Fairhaven, Framingham, Marlboro, Milford, Randolph, Needham, Truro and Weymouth.